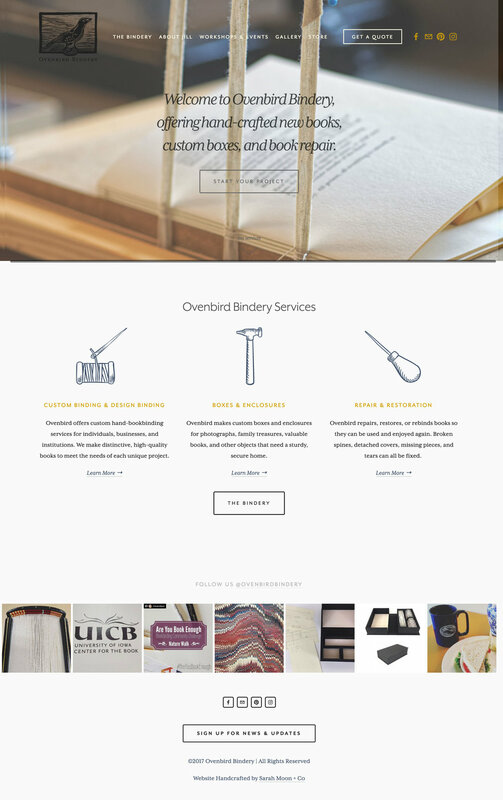 Ovenbird Bindery is independently operated by bookbinder Jill Krase, offering a wide range of handmade books and bookbinding services. Jill makes a variety of one-of-a-kind and small edition fine custom books and boxes for clients. Her website reflects her style and passion for the book arts.